Cronan, D. S. (1980). Underwater Minerals. London: Academic Press. Cronan, D. S. (2000). Handbook of Marine Mineral Deposits. Boca Raton: CRC Press. Cronan, D. S. (2001). 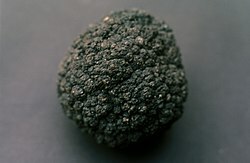 "Manganese nodules." p. 1526-1533 in Encyclopedia of Ocean Sciences, J. Steele, K. Turekian and S. Thorpe, eds. San Diego: Academic Press. Earney, F.C. (1990). Marine Mineral Resources. London: Routledge. Roy, S. (1981). Manganese Deposits. London: Academic Press. Teleki, P.G., M.R. Dobson, J.R. Moore and U. von Stackelberg (eds). (1987). Marine Minerals: Advances in Research and Resource Assessment. Dordrecht: D. Riedel.